I registered for classes for the fall semester of my semester last night. Well, early this morning, I should say. I can’t believe I only have one year left of college. The first of my actual teacher prep exams will be taken THIS SUMMER. Which reminds me, I also registered for my last two summer classes last night. I have not had a summer off since the summer between high school and college. All of my hard work will pay off. People around me keep sounding so negative about things, and I am trying not to let it discourage me. I know I can pass these exams and get hired at a good school. Teaching is what I was meant to do. 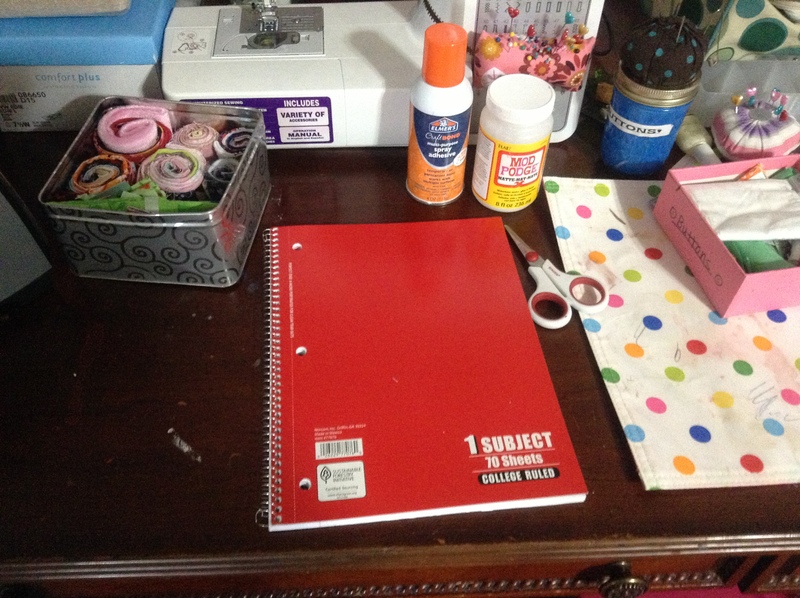 Drawer dividers – Container Store or DIY? My goodness, how exciting! I get to write a post and publish it when I get done, instead of it being super late at night and I just schedule it for the next day….. Anyway, isn’t it exciting that school starts up again soon? I start classes next Thursday, and I will finally see what it’s like to work part time and go to school full time (opposite of my dad right now, how funny!). Today, I wanted to share with you the notebooks I finished up a couple of days ago. 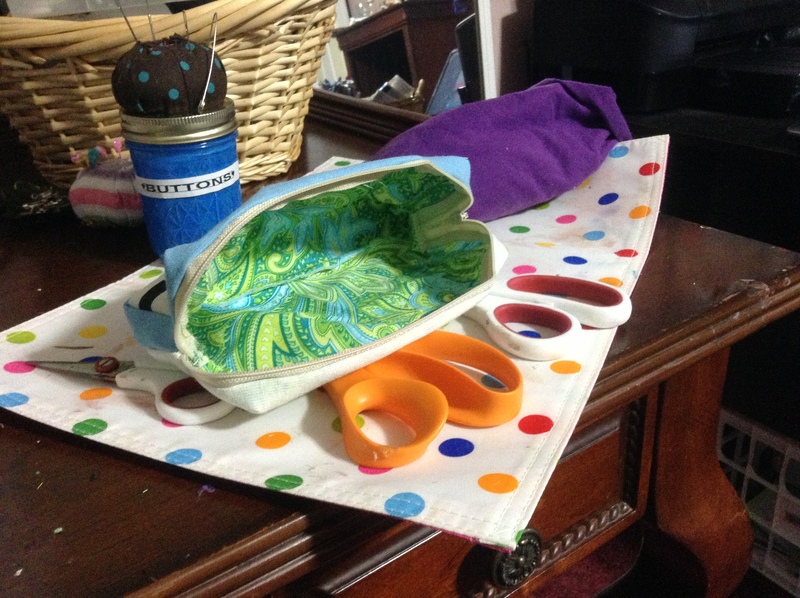 You need fabric, scrapbook paper, ribbon, mod podge, a brush, scissors, and any other embellishments you want to use. Oh, and spray adhesive, if you have it. 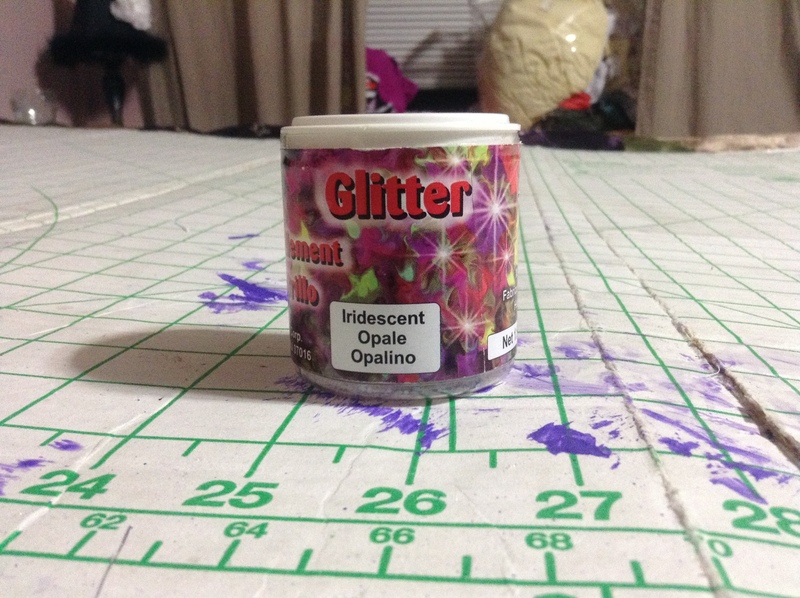 I rarely buy it because it’s hard to find cheap sometimes, but I got it at JoAnn with a coupon since I love using it so much! 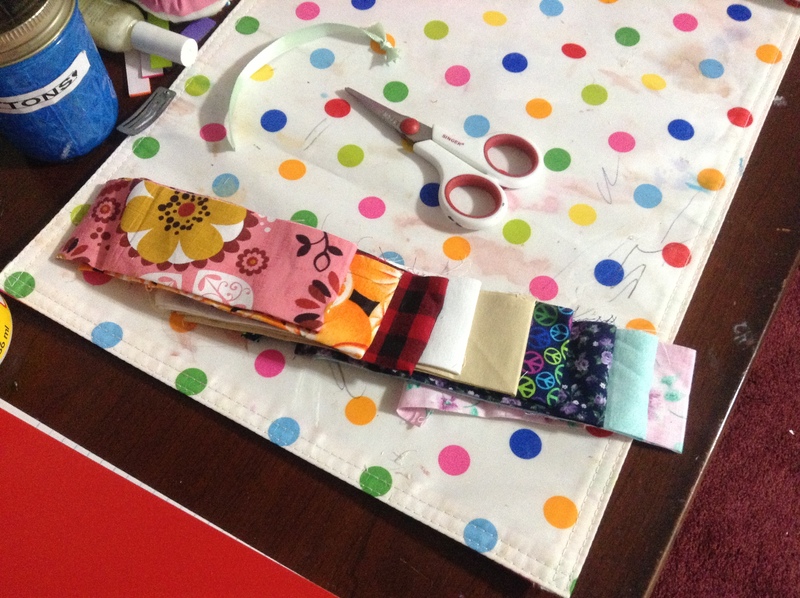 I started by snipping the ribbon off of a jelly roll I made months ago. 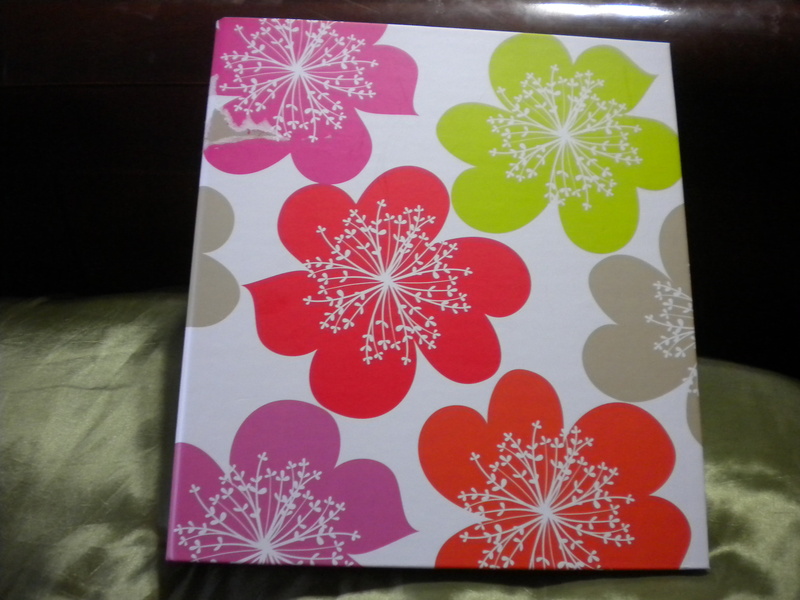 I arranged the strips in a sort of design and used spray adhesive to apply them to the notebook cover. 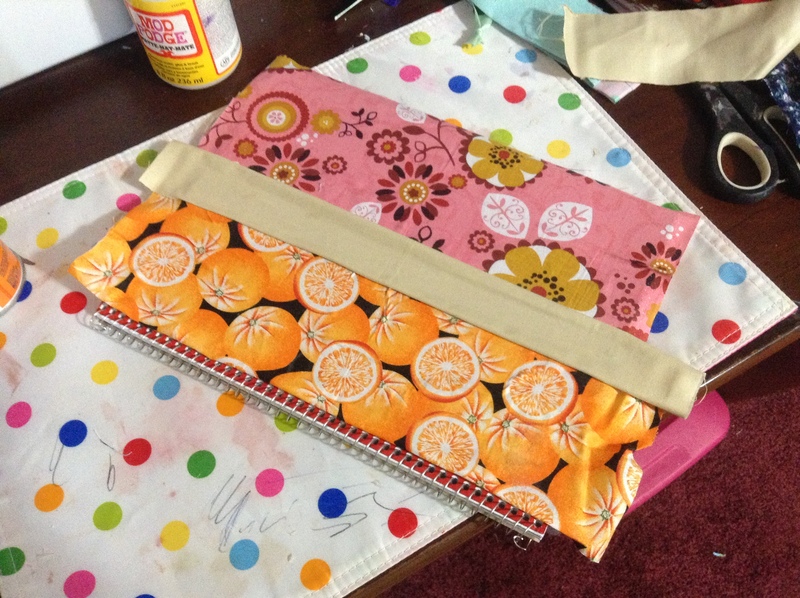 Then, I sprayed some on the inside cover and folded over the excess fabric. 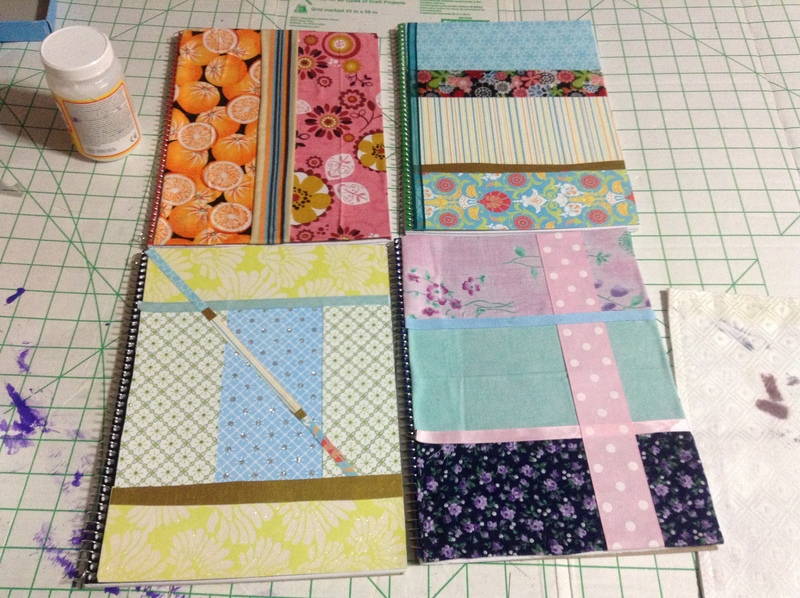 Here are all four notebooks that I did. 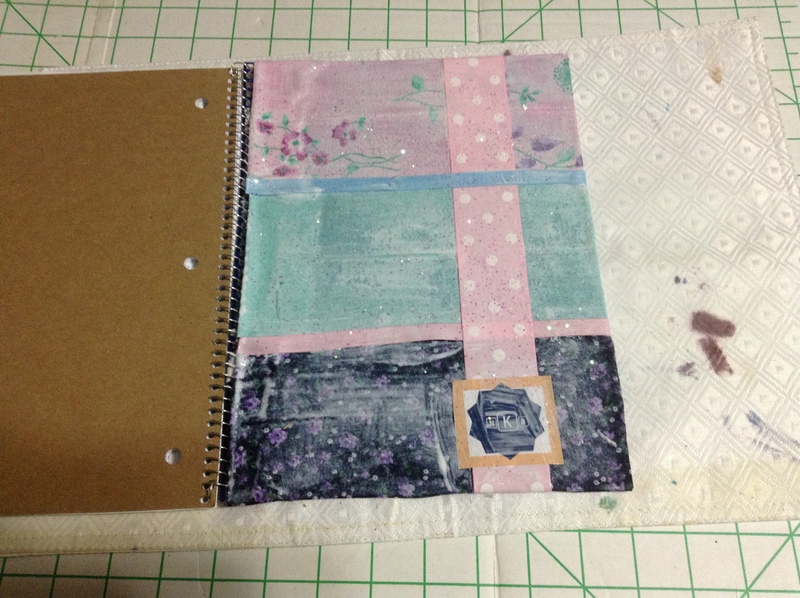 The top two are fabric, and the bottom two are scrapbook papers. 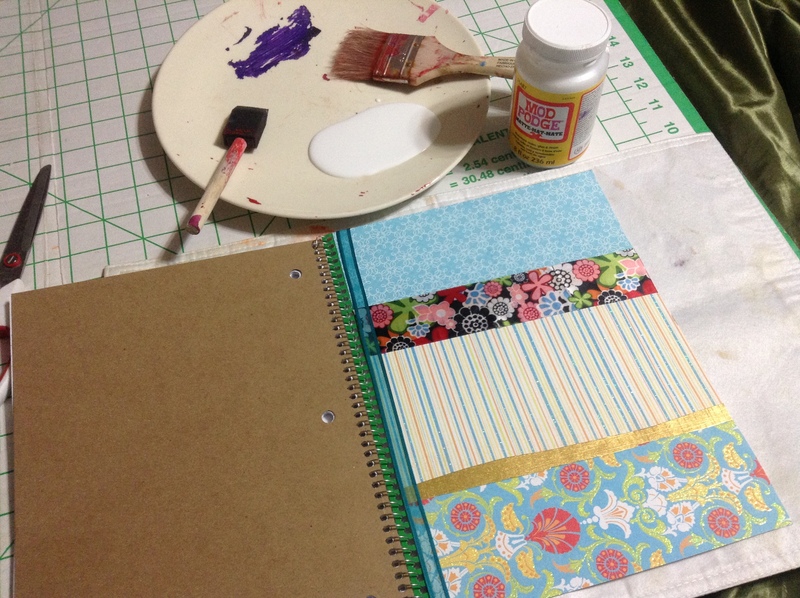 Then, I coated the front of each notebook with mod podge. I printed out cute little monogram (made in MS Word), and stuck them to the front of each notebook. Then I remembered I had this wonderful stuff…. 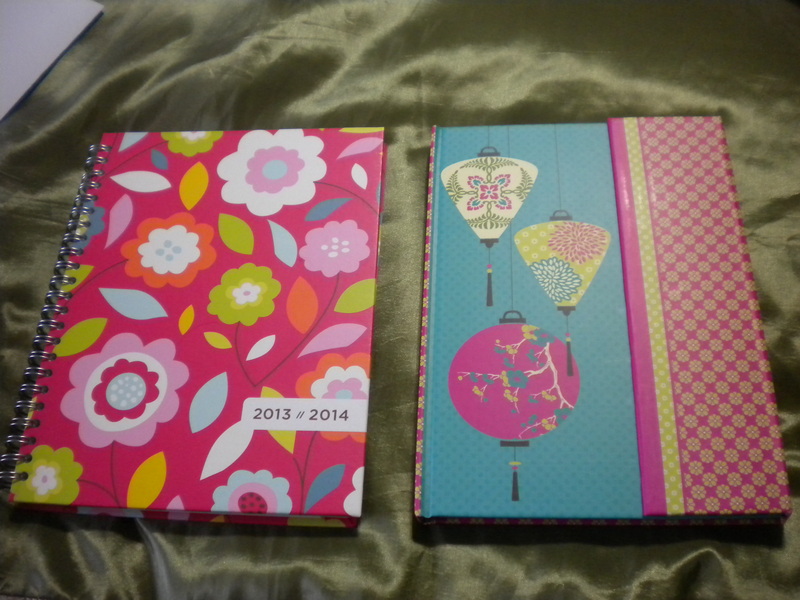 And now, I have one shimmery notebook! 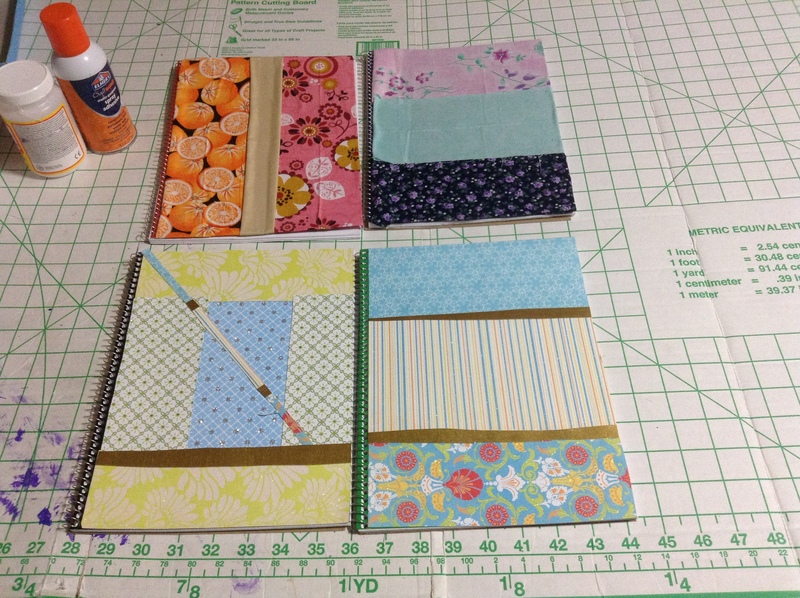 The next day, I added another coat of mod podge to all of the notebooks. 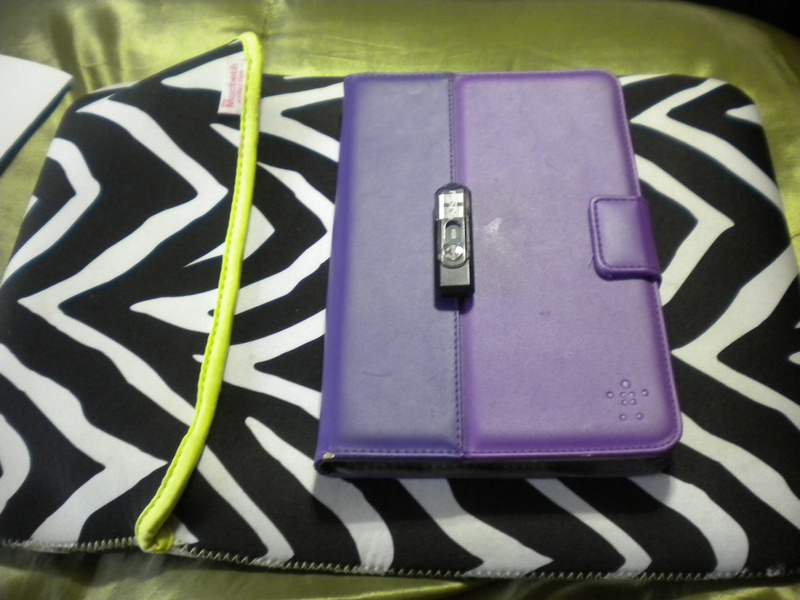 I did not take a picture of the finished notebooks, because they look like they do above, just with monograms. I used a matte mod podge as well. Hello, everyone! 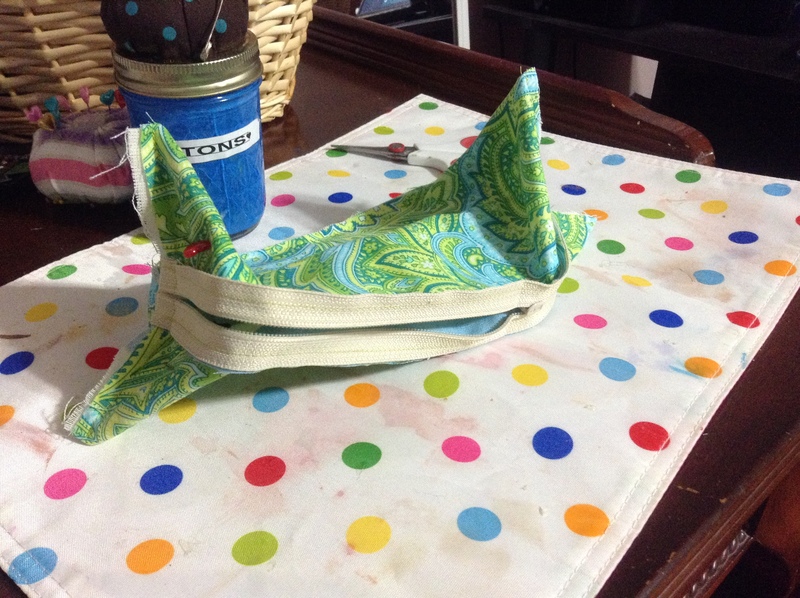 In my last post, I mentioned that I had plans for a pencil bag. 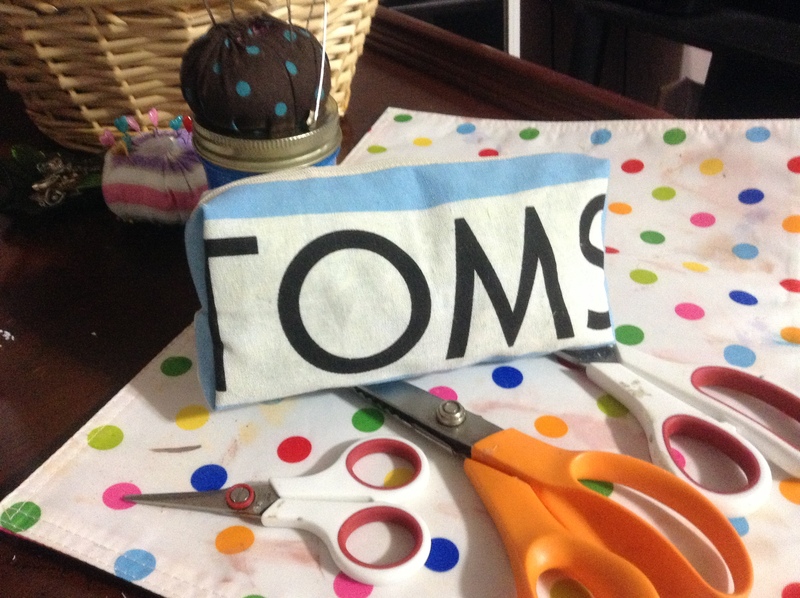 Well today, I am going to show you how I made my TOMS bag into a lined, boxy pencil bag! 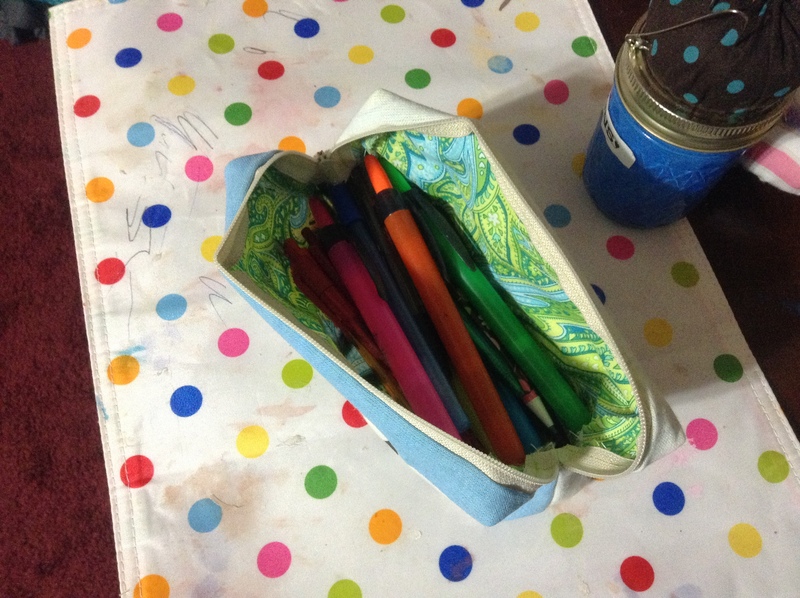 I kept seeing the ones on Pinterest that were just regular flat pencil bags, but I love the box style, so I set out to make it without much of a guide. 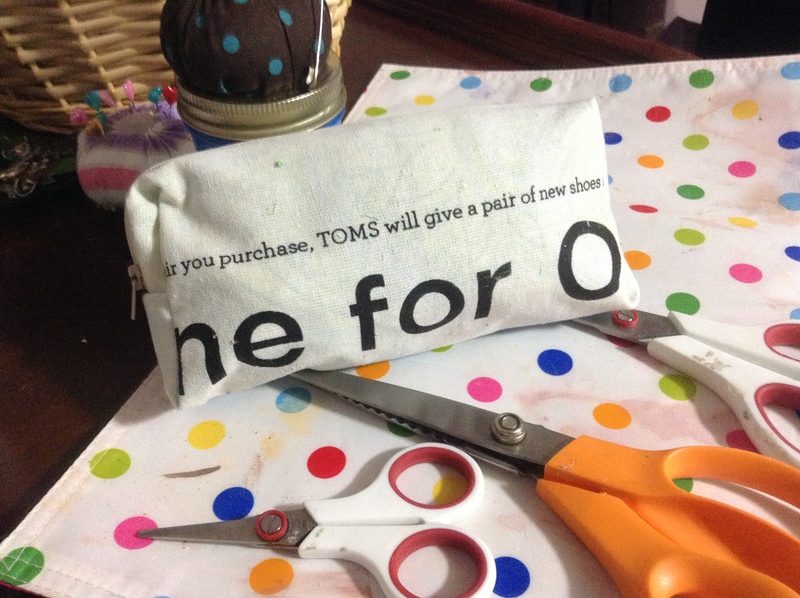 To make my Lined TOMS Pencil Bag, you will need: a TOMS bag, lining fabric of your choice, zipper, pins, scissors, and a sewing machine or needle and thread. 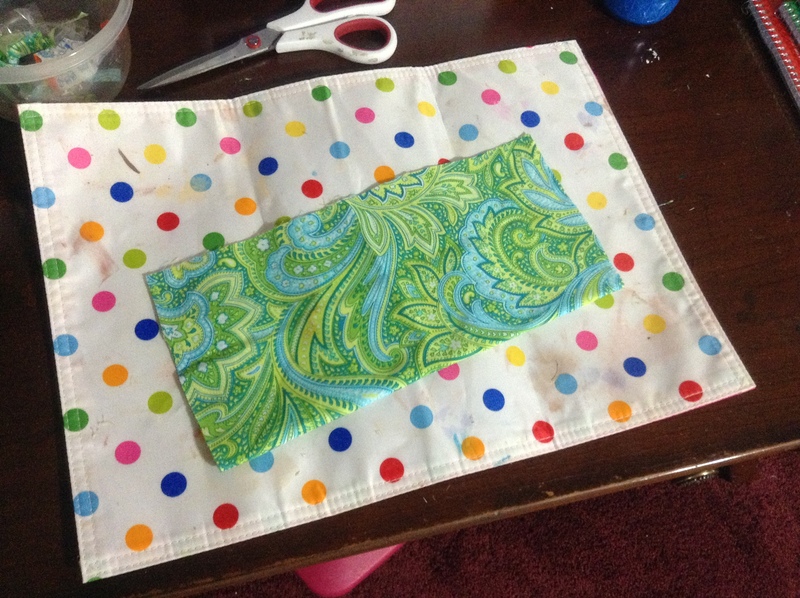 The first thing I did was square up my lining fabric. 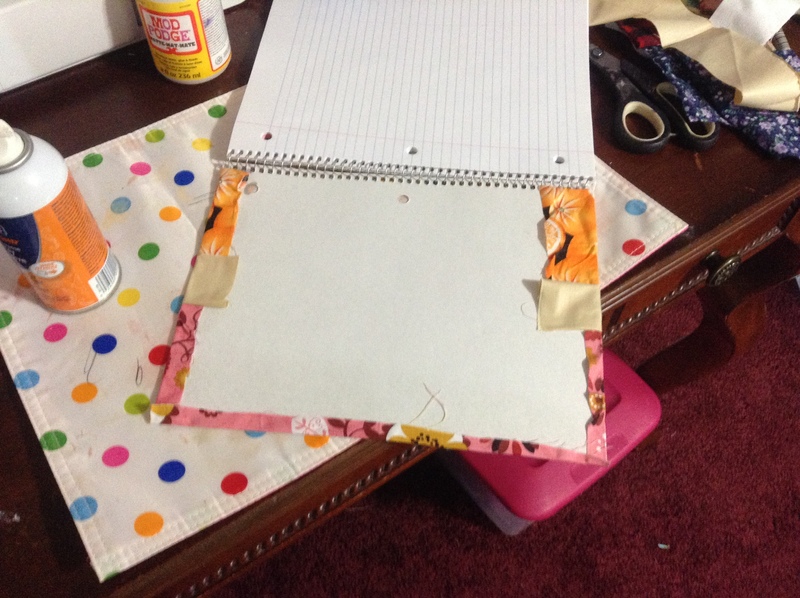 The edges were a little uneven, but I couldn’t find my rotary cutter, so I just used shears. I still haven’t found it. And the blade is getting dull. Bummer. 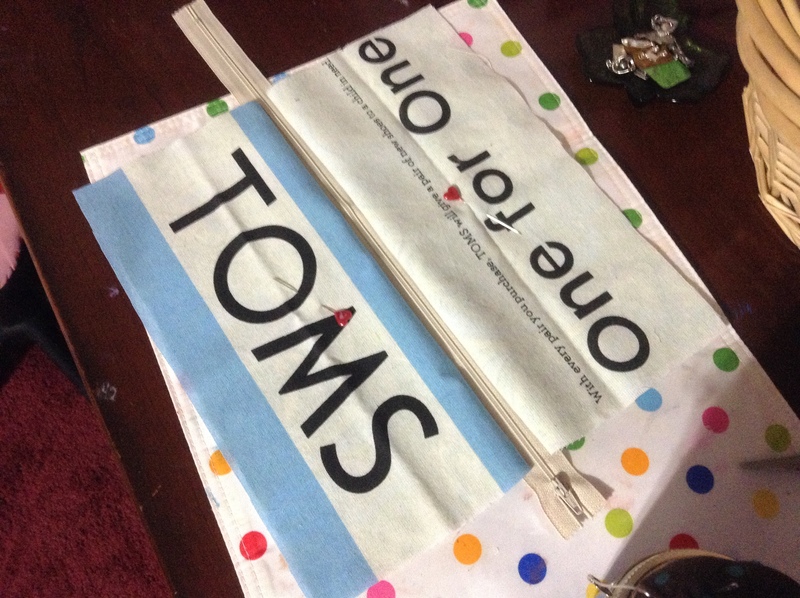 I then centered my lining fabric on top of the TOMS logo so I could cut the bag to size. 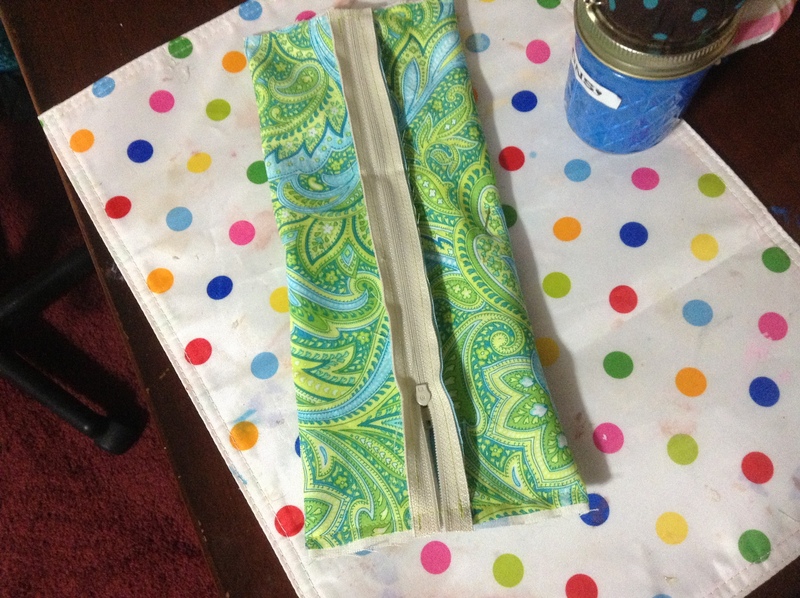 I lined up each piece of lining, wrong sides together, with an outer piece and pinned it to keep it from sliding while I pinned and sewed the zipper in place. It wasn’t until after I stitched the first side that I realized the zipper should have been sandwiched between the lining and the outer piece. 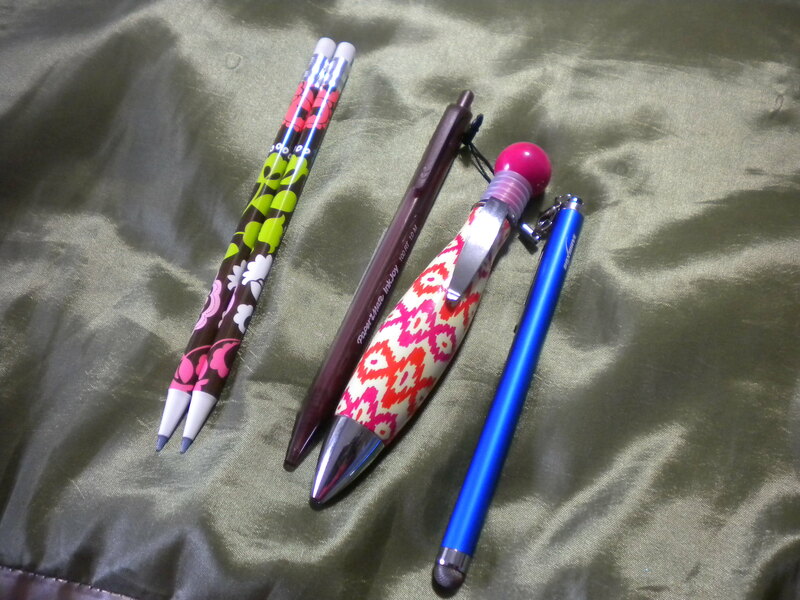 Then, I moved the zipper pull out of harm’s way, flattened the “bag”, and stitched the “sides”. 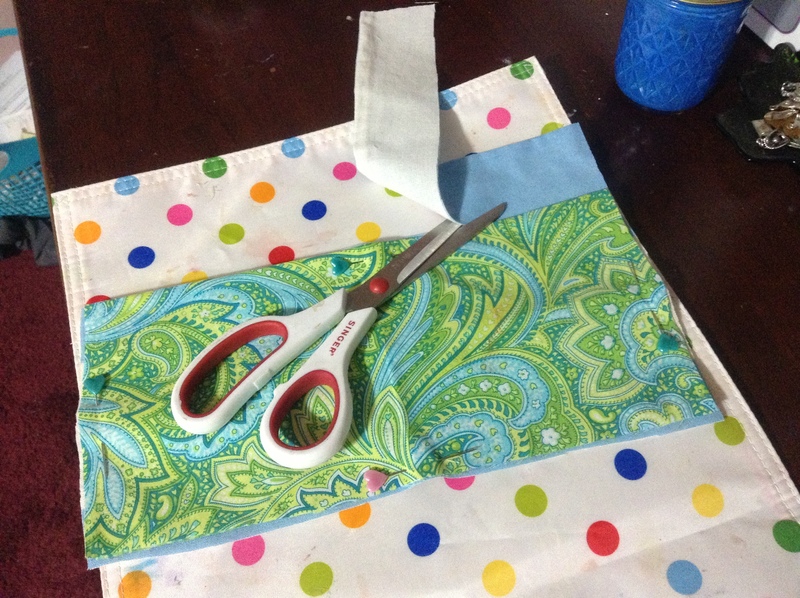 Cut off the excess zipper, and this could be a finished bag, if you wanted! But I didn’t. So now, I can measure and pin my edges for the boxy shape that I want. 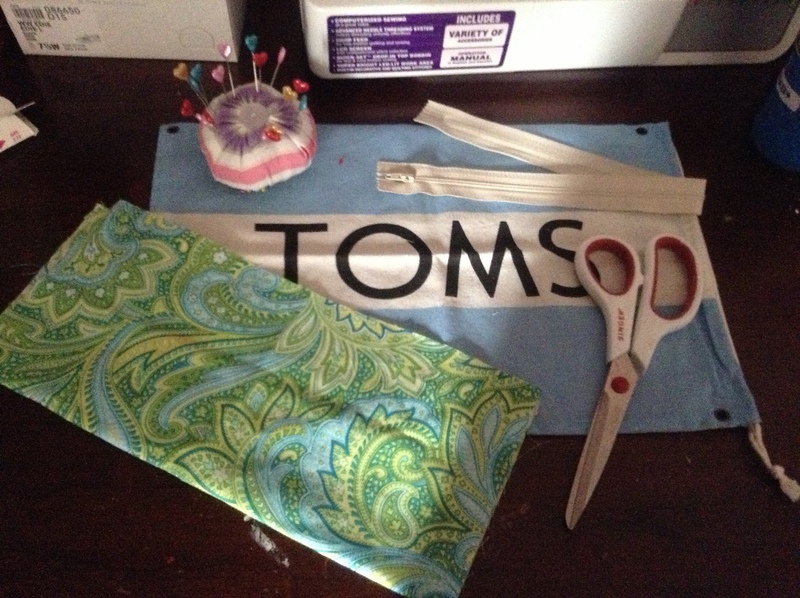 after stitching them in place, I cut off the excess fabric with pinking shears to help prevent fraying. 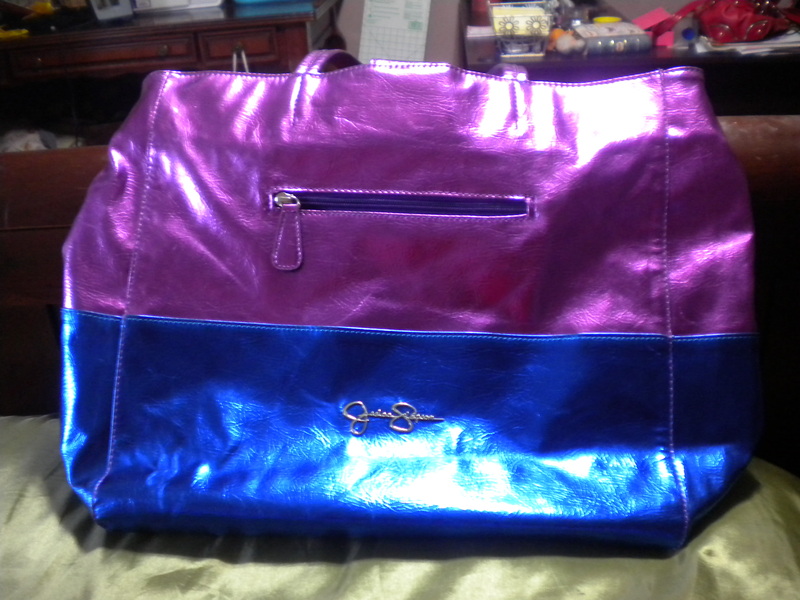 And here is the finished bag! As you can see, the letters are cut off, but I love this bag. It’s adorable, I made it, and it didn’t cost me anything extra in supplies. 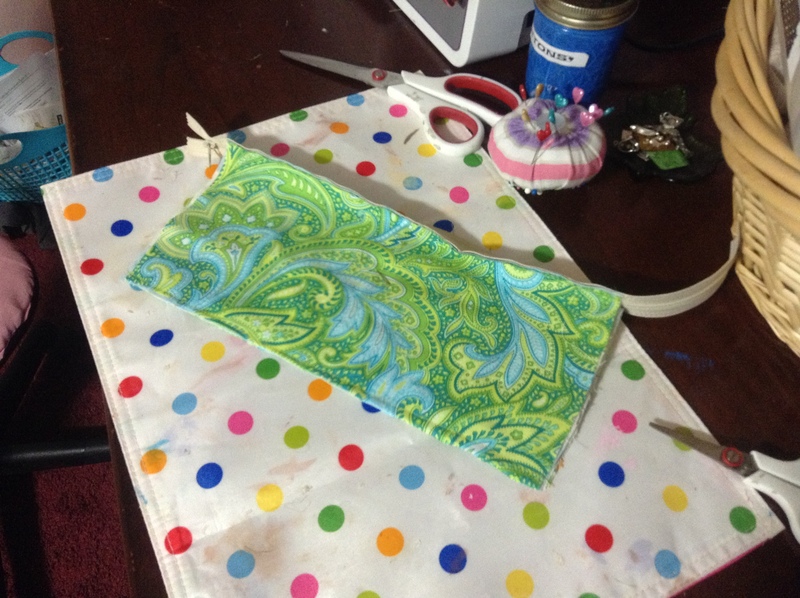 The lining fabric is a cotton print from a grab bag I found at Goodwill. What? You want to see actual supplies in it? Darn…I mean, okay! 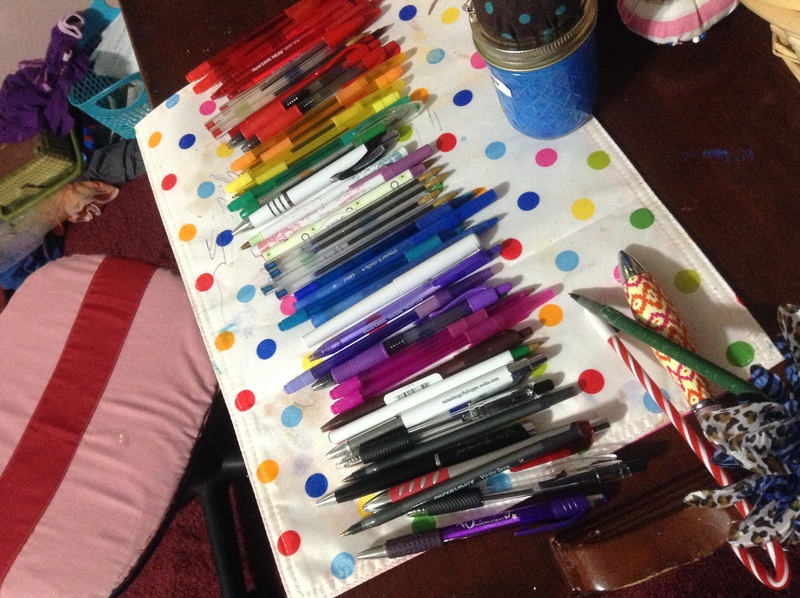 Oh, by the way, here’s a shot of my pen collection…most of them, I mean. 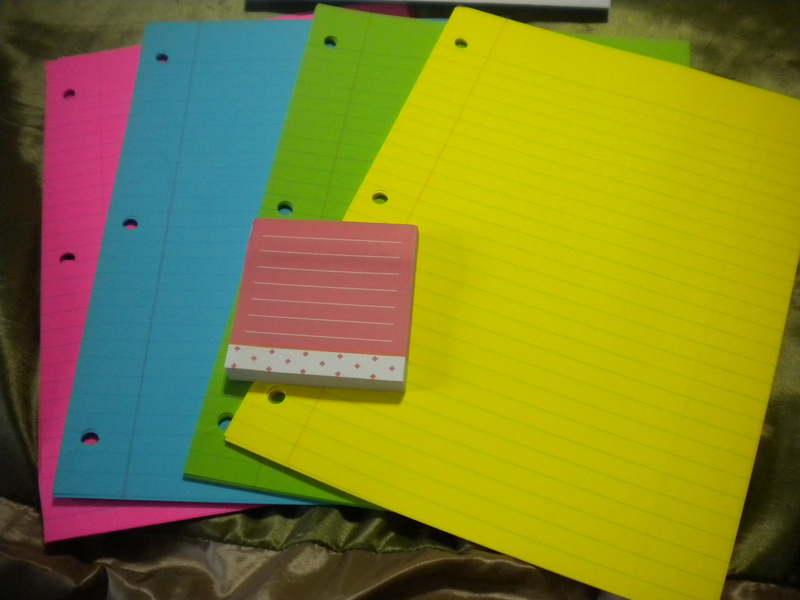 I grouped them by color just for you, my dear readers! I have a partial pack of pens in my drawer, along with several strays laying around in my room, but this is the bulk of it! ALSO. 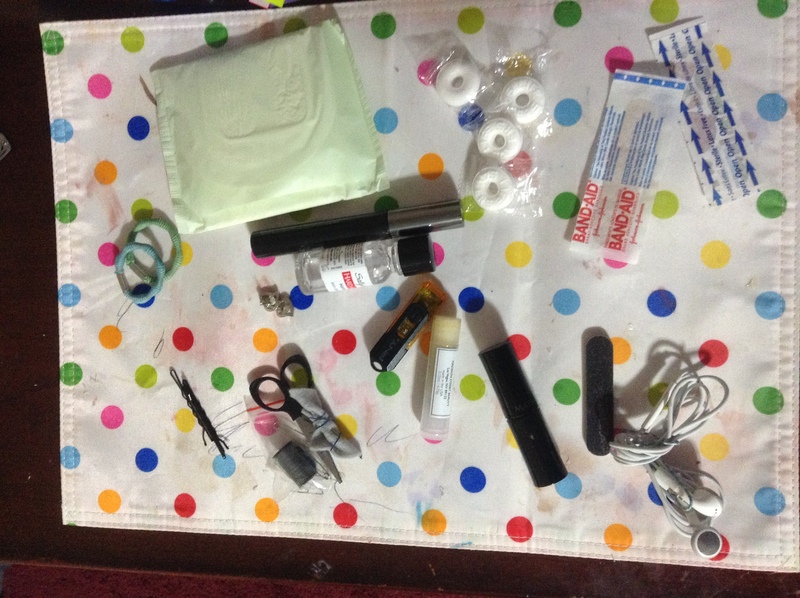 I wanted to show you what I decided to put in my “Kit” I was talking about in my last post. Again, go to the link in that post for the full details on it, and I promise, you will love her blog! 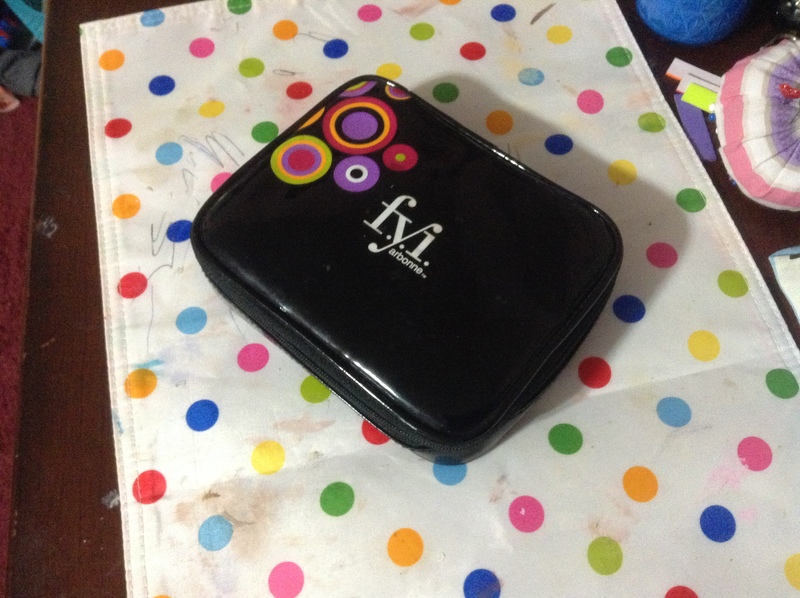 Everything fits nicely in this Arbonne makeup bag. I have no idea where I got this from, but I’m pretty sure someone gave it to me. Thanks so much (as always) for reading!